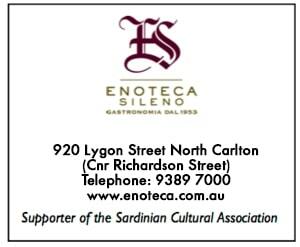 The Clubrooms of the Sardinian Cultural Association (Vic) Inc. (SCA) were originally situated at 279 Gilbert Road Preston. 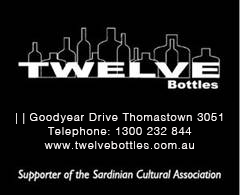 In the late 80's they moved to 85 Elizabeth Street Coburg till the early 90's when they moved to 232 Lygon Street Brunswick. Since 2002 its home is at the Assisi Centre Home for the Aged, 232 Rosanna Road Rosanna.